Last summer, during a visit from the nursery nurse associated with our Health Visitor, a concern was raised. The nursery nurse didn't think Blake's speech clarity was to the level expected. This came as a big shock to me (and everyone I know!) as Blake has always been a big chatterbox and has a huge vocabulary - his first proper words were "Oh Dear" at 8 months and was tackling big words such as stegosaurus by age 2. We went to a speech therapy drop in centre at Downham Health and Leisure Centre - it was great! There wasn't any waiting and the therapist we saw was great with Blake I left feeling positive and reassured, but it then took over 7 months for an appointment to come through for Blake to have a full assessment - which for a preschooler is a very long time! The same week we had our assessment (we are now on a waiting list for treatment to start and an ENT check up) I also saw the invite to the I CAN Mad Chatter's Tea Party, so I naturally felt the need to go along and offer my support. At the assessment, the therapist had told me to clap out the rhythm to some of the sounds and words Blake struggles with but at the I CAN party, they went one further and did clapping out the rhythm using instruments and sticks - even wooden spoons would help! I took Maegan with me to the Tea Party which was lots of fun, and she got to meet Nick Jr's Humf (and so did I!) and I picked up lots of tips to help Blake - I hadn't even known about all the resources I CAN offer and their website is full of useful pointers. Like all great blogger events, I got to meet some lovely fellow Bloggers, Kate from http://www.makeshiftmummy.com/ and Emily from http://www.familyfourfun.co.uk/ and some great supporters of the charity, some of the mums their were helpers in the community and I had a fab chat with Harriet Thomas from Boogie Mites. Maegan made friends with everyone and Nick Jr's Humf was great, he cuddled and danced with all the children and made time for everyone there - even Mummies and Daddies! There was lots of singing and dancing with the lovely Harriet Thomas of Boogie Mites and lots of encouragement over the use of song and rhythm to help with communication and sounds. Not forgetting to mention the lovely huge afternoon tea spread .... yum! Cake! There is a wonderful short video from the tea party (I'm the one in the green dress and Meg is in her red tea cup dress! 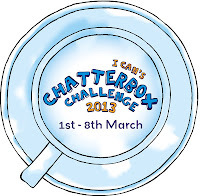 "HUMF JOINS CHILDREN’S COMMUNICATION CHARITY I CAN TO LAUNCH CHATTERBOX CHALLENGE 2013! 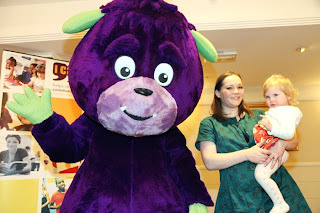 Children’s communication charity I CAN is proud to announce that it is partnering with loveable children’s brand Humf, from the hit Nick Jr. TV show, with continued support from long-term sponsor Openreach to make the 2013 Chatterbox Challenge even bigger than ever. Aimed at getting under 5s communicating in fun and creative ways, the annual event is open for registration now! 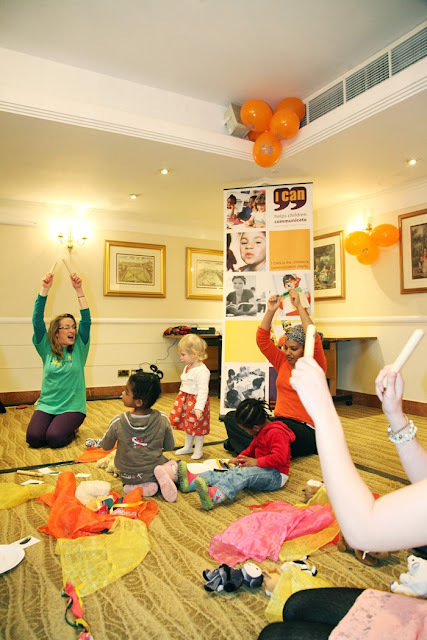 I CAN is inviting thousands of little Chatterboxes to take part in the annual fun and educational event for nurseries, pre-schools, childminding and community groups. Now in its 12th year, the 2013 Chatterbox Challenge: Mad Chatter’s Tea Party with Humf asks groups to organise sponsored tea parties where children can join in with popular songs and rhymes to develop their communication skills in a simple and enjoyable way. Thanks to the kind support of Openreach, funds raised through sponsorship will enable I CAN to help even more children who struggle to communicate. 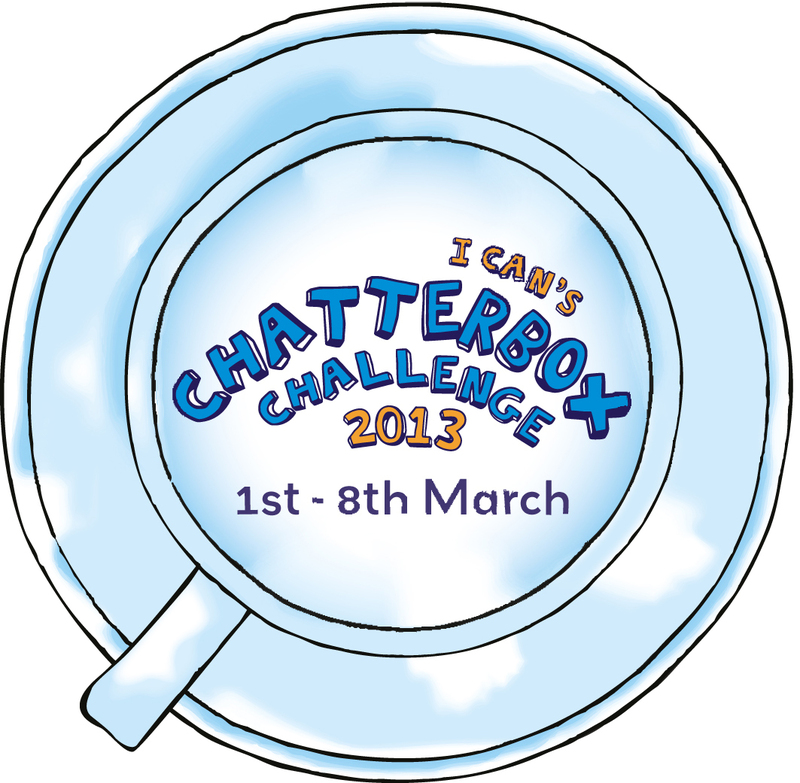 Each Chatterbox Challenge: Mad Chatter’s Tea Party with Humf will raise valuable funds and awareness for I CAN’s work with some of the one million children in the UK who struggle with speech, language and communication, as friends and family will be encouraged to sponsor children for taking part and joining in. Groups can register now for their free fundraising pack at the Chatterbox Challenge website (www.chatterboxchallenge.org.uk). The 2013 Challenge signals the beginning of an ongoing relationship between Humf and I CAN. This support from a licensed character coincides with the redesign of the popular Chatterbox Challenge to include the tea-party element. 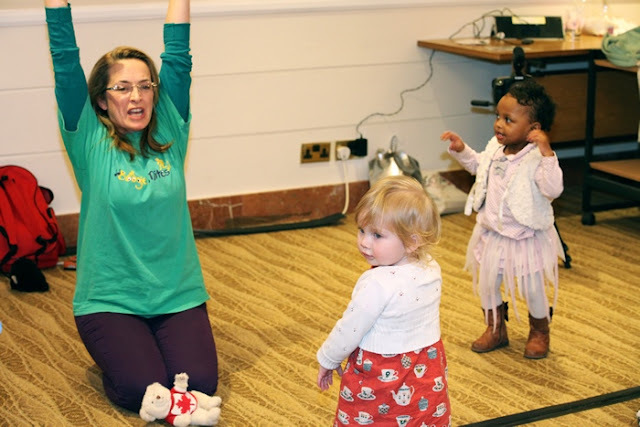 As with previous successful years, the singing and rhyming activities for the 2013 Chatterbox Challenge: Mad Chatter’s Tea Party with Humf have been carefully developed by I CAN speech and language therapists and teachers. The lesson plans, which include Humf and his friends in the activities and illustrations, link to key aspects of the new Early Years Foundation Stage including Communication and Language, Physical Development, and Personal, Social and Emotional Development. 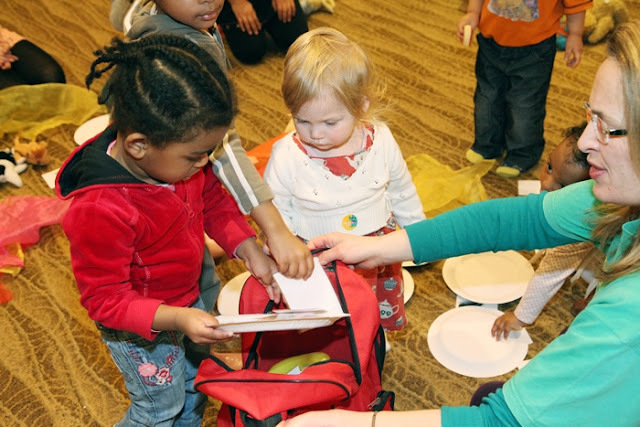 All the activities are aimed at supporting and developing children’s speech and language skills. Speech, language and communication are crucial for reading, learning in school, for socialising and making friends, and for understanding and expressing emotions or feelings. 1.2 million children in the UK have long-term difficulties with their speech, language and communication and will need extra support. The Chatterbox Challenge: Mad Chatter’s Tea Party with Humf encourages children to think about communication, whilst helping support those who find talking and understanding difficult. Thanks to Openreach and their kind support, I CAN is able to help even more children who struggle to communicate. To register and get involved in this year’s Chatterbox Challenge: Mad Chatter’s Tea Party with Humf, go to www.chatterboxchallenge.org.uk"
The I CAN Senior Press and PR Officer, Emma Selim deserves a special mention for doing such a great job and being one of the best PR people I've worked with this side of blogging!